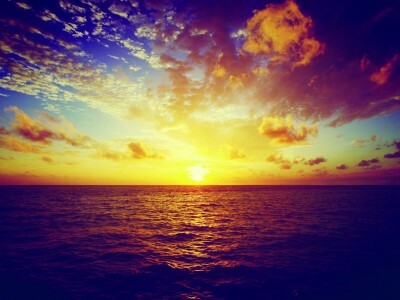 Discover a world of privilege and new experiences. 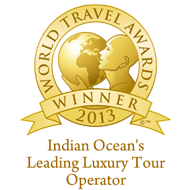 Privilege is exclusive access to the most extraordinary experiences in the region. 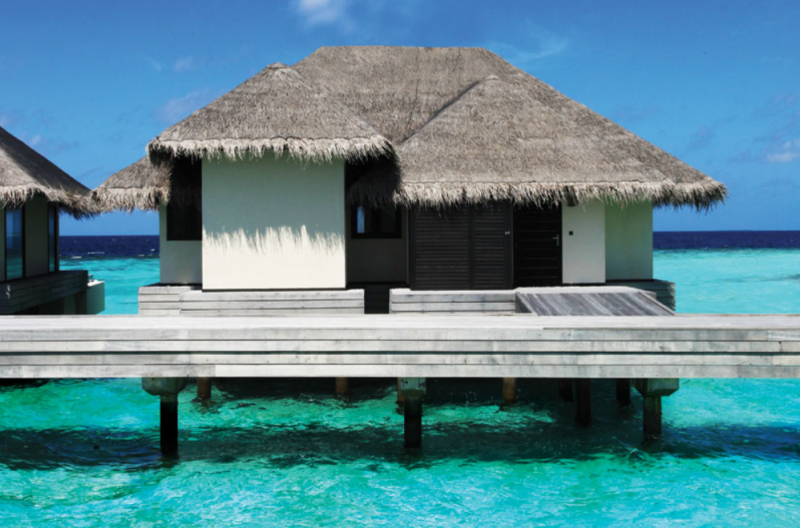 It’s watching sea turtles from the comfort of your private infinity pool, and the smell of a freshly cracked coconut hand-delivered to your over-water villa. 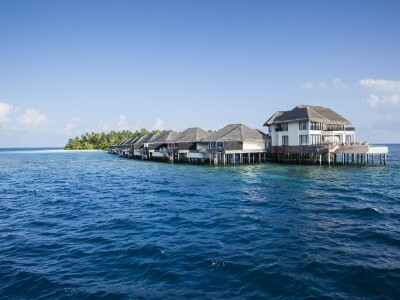 Outrigger Konotta Maldives Resort rests within the crystal waters of Gaafu Dhaalu Atoll, located a scenic 20-minute speedboat journey from Kaadedhdhoo Airport. 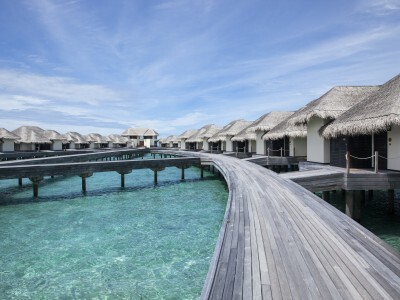 Comprising 29 Beach Pool Villas, 21 Ocean Pool Villas, 2 Lagoon Pool Villas and a Presidential Villa, the resort offers a complete sense of privacy and intimate luxury. 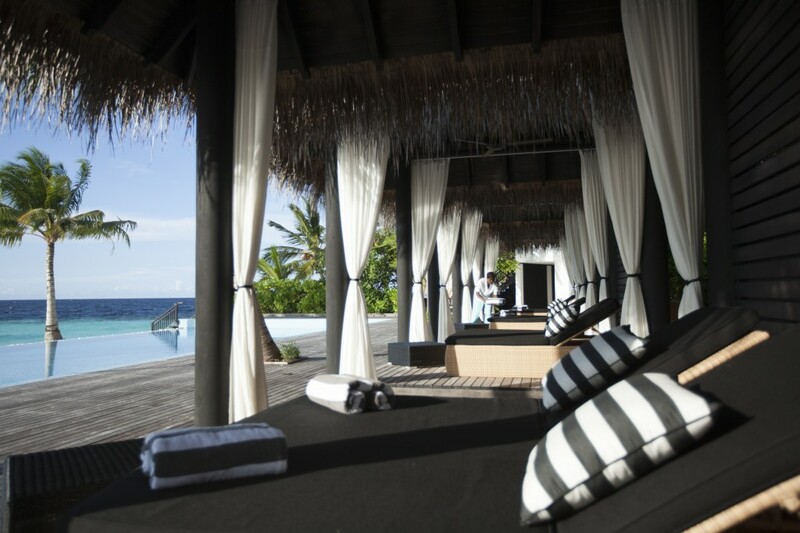 Captivate your senses with innovative dining concepts, Outrigger Navasana spa, and high-end facilities. 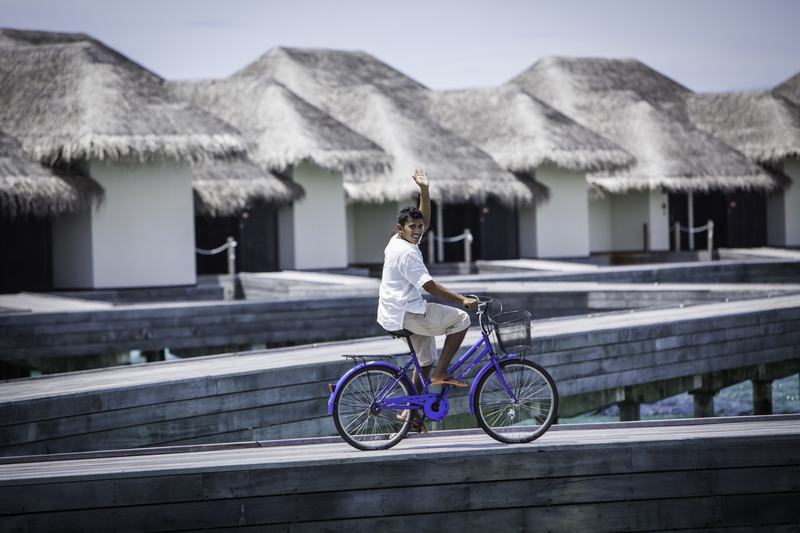 In between your diving lesson and massage, indulge in sumptuous Maldivian cuisine or a glass of white Burgundy in one of our restaurants or the comfort of your expansive villa. 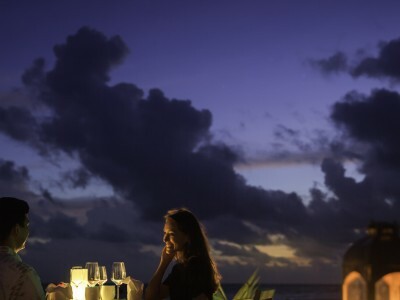 As the sun sets, sample Japanese single malts at our Teppan bar while drinking in endless ocean views. Our Beach Pool Villas offer direct access to white sand beaches in addition to a private, 4.8 meter outdoor swimming pool, wooden decks, private gardens, open plan living rooms, and spacious bedrooms with king-size beds. The villas also feature expansive bathrooms with dual sinks, a rain shower and bathtub, sun lounges and a panoramic upper deck. 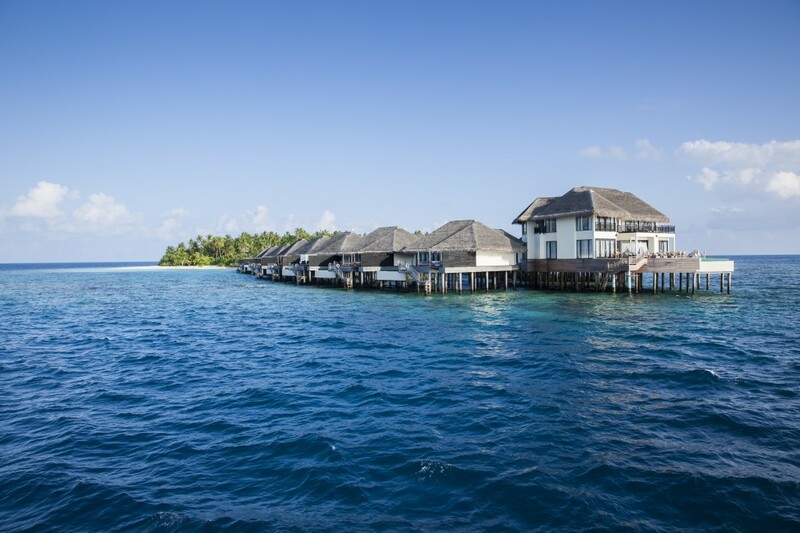 For the quintessential Maldives experience, book a stay in one of our over-water Ocean Pool Villas, offering direct access to the pristine waters of the lagoon. 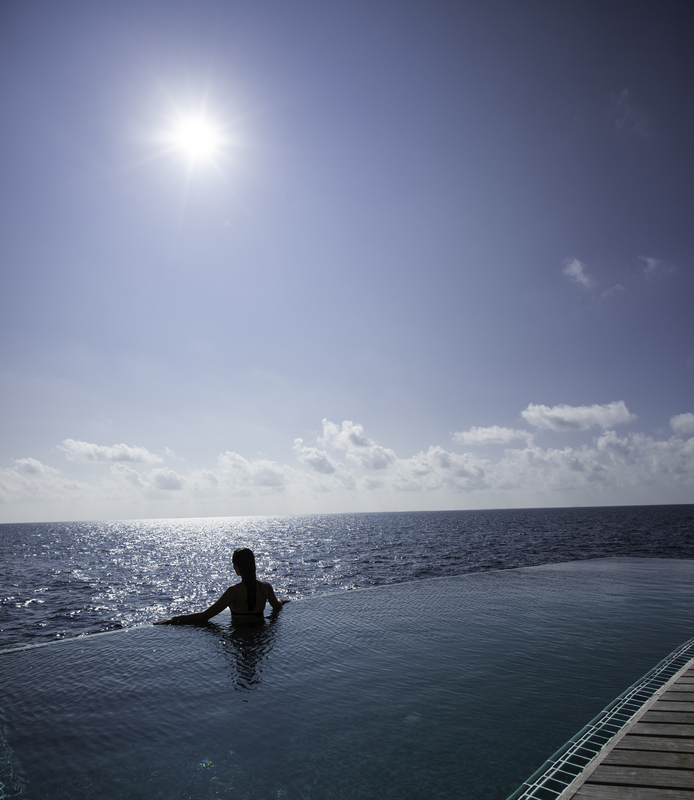 Enjoy breathtaking Indian Ocean views from the comfort of your 5.2 meter infinity-edge swimming pool, outdoor wooden deck, or shaded pavilion with sun lounges. Take a break from the sun without missing any of the scenery with floor-to-ceiling windows. Guests can access the outdoor deck from the bedroom or stay inside and rest in the spacious lounge area. The bathroom with dual sinks, bathtub, and rain shower is the perfect place to refresh before heading back out into your Maldivian dream. 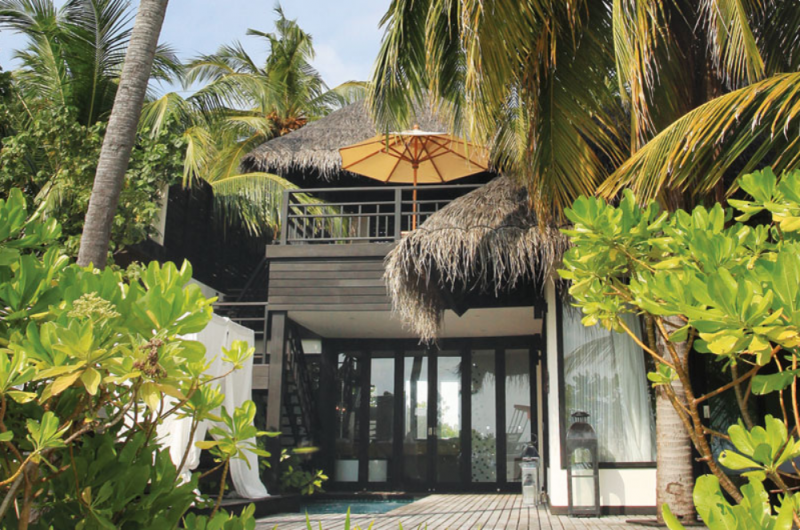 Our Lagoon Pool Villa is perfect for snorkeling enthusiasts seeking style and convenience. 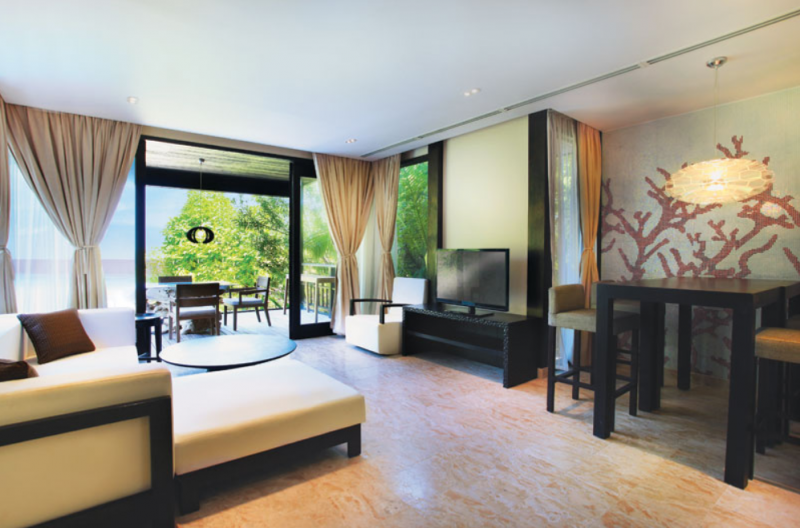 A spacious bedroom, with king-size bed, opens onto a deck with private outdoor infinity pool and sun lounge. The generous layout features direct access to the lagoon, an open plan living area, and a large bathroom with dual sinks, a rain shower and bathtub. 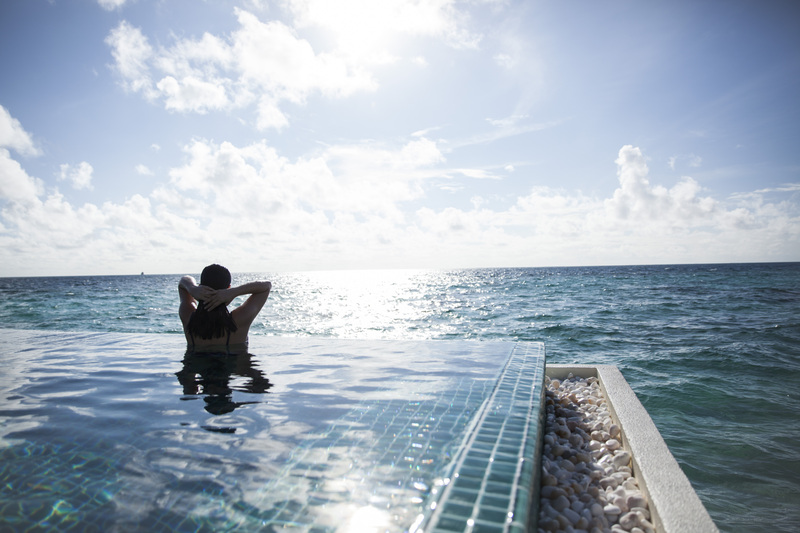 Perfect for families who want easy access to the warm waters of the lagoon, our two bedroom lagoon pool villa offers an outdoor infinity pool and large wooden deck with sun lounge. The master bedroom features floor-to-ceiling windows and a king-sized bed, while the guest room offers a Hollywood twin bed layout. Both of the villa’s bathrooms boast dual sinks, a bathtub, and a rain shower. 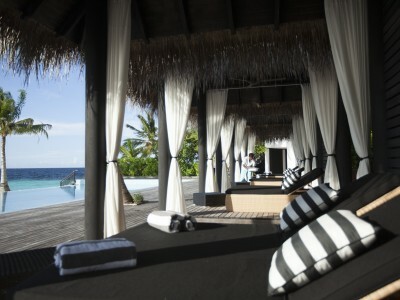 Can be combined with the Lagoon Pool Villa to accommodate larger groups. The Presidential Villa is our accommodation pièce de résistance. The largest and most luxurious accommodation option at the resort, the Presidential Villa consists of three bedrooms with king-size beds and private lounge areas, a generous living room, and a dining room. 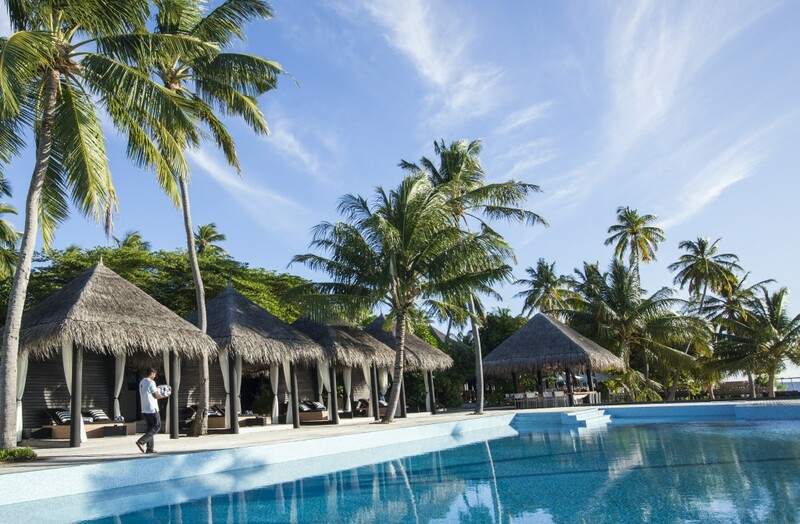 Outside, the Presidential Villa offers a 28 square meter infinity pool, shaded pavilion with sun lounges, outdoor rain showers, sizable wooden deck, and of course, direct access to the sparkling waters of the lagoon. 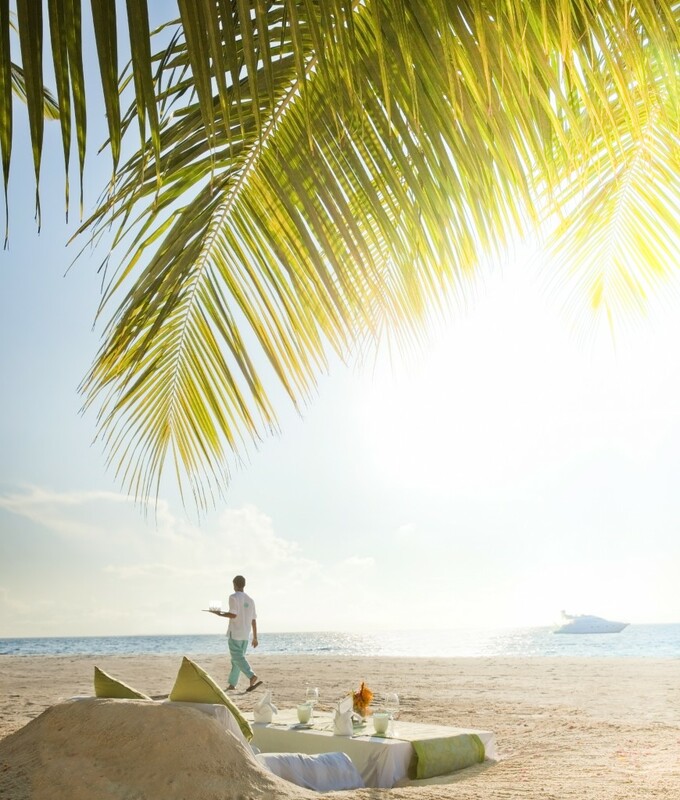 From Maldivian barbecues to Argentinian Malbec, our resort’s culinary offerings bring together highlights from around the world to deliver exquisite dining experiences. 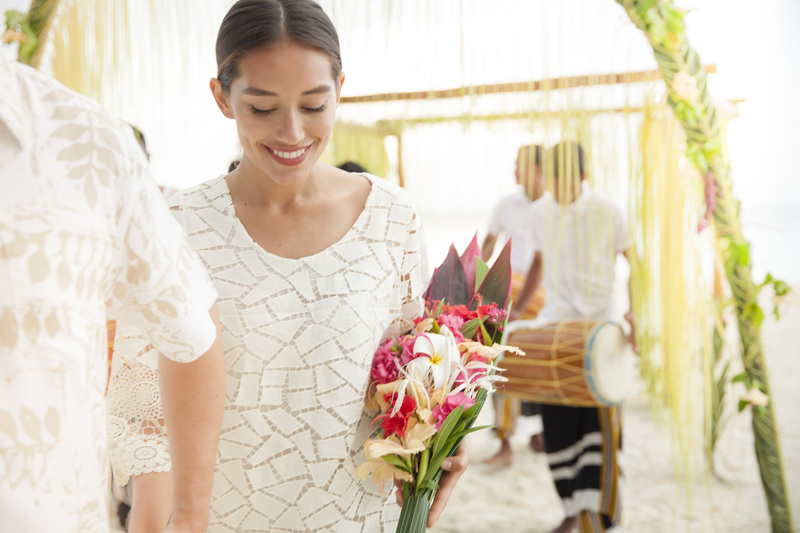 All of our dining concepts focus on the Outrigger philosophy of genuine hospitality. 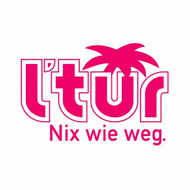 Grab a burger on the beach or enjoy fine dining depending on your cravings. At the heart of our culinary mission is our dedication to serving seasonal produce, locally-caught sustainable seafood, and clean, simple dishes that highlight the beauty of quality ingredients. 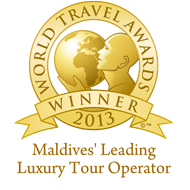 All dining experiences are full service and showcase the true talent of our international team. Blue Salt’s atmosphere changes throughout the day, but the service is always the same – warm, friendly and intuitive. 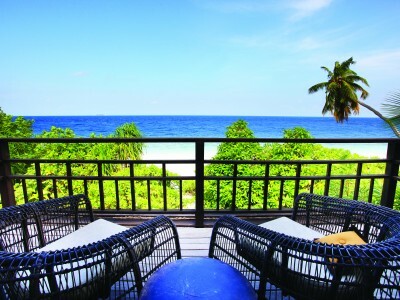 Our most elegant dining option is the resort’s signature teppan-raw bar, Nala Rah (Maldivian for beautiful island). This contemporary restaurant focuses on high end cuisine and an extensive cocktail and spirits selection of top whiskeys, sake, and sochu. Watch teppan and sushi masters at work from intimate bar seating without losing sight of the stunning ocean and island views. If you prefer wine over Japanese single malt, choose a bottle from the well-stocked cellar featuring selections from the world’s best wine regions. 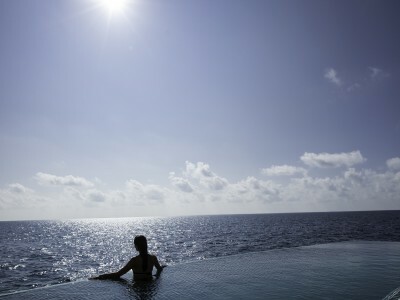 We know it’s hard to leave our stunning pools, so we created a modern poolside bistro overlooking the Indian Ocean. Featuring a blend of international and Asian fare, the menu is full of bright and sumptuous dishes. For something light, try the Tandoor Chicken Salad with pickled cucumbers, tomatoes, raita, and poppadums. On the bolder side, the Hokkien curry laksa with yellow noodles, tiger prawns, chicken, and clams in curry broth is an excellent way to sample local seafood. Take in stunning ocean views from The Deck bar while sipping contemporary cocktails or herbal and fruit infused iced teas. 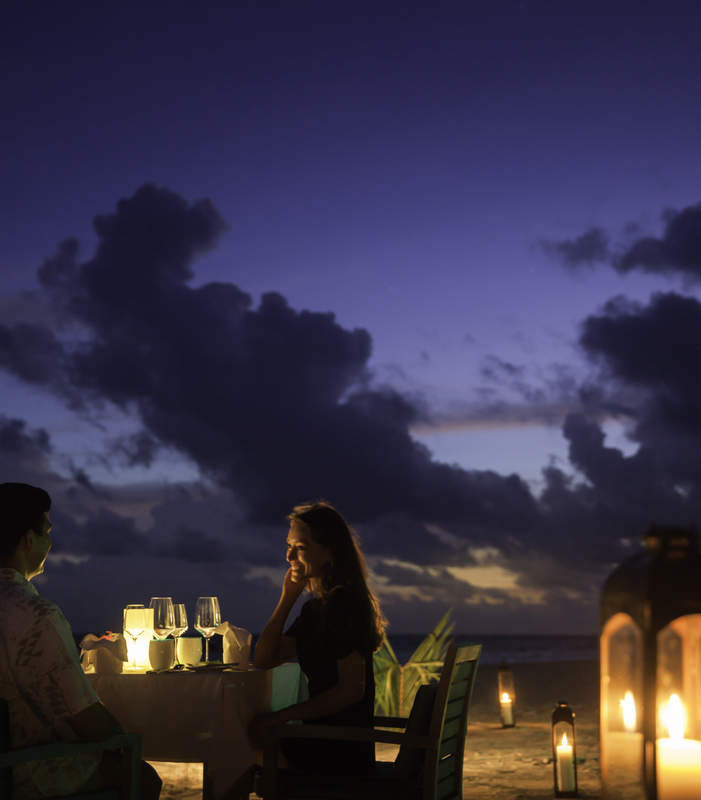 Private beach dining and in-villa dining offer exceptional levels of service with the added luxury of intimate privacy. Depending on your preference, we are ready to bring you signature dishes, personalized menus, specially crafted healthy options, or special experiences to fit any occasion. Whether you want a few dishes a la carte or an exquisitely catered fine dining set menu, our chefs can provide you with an unforgettable meal in the setting of your choice. 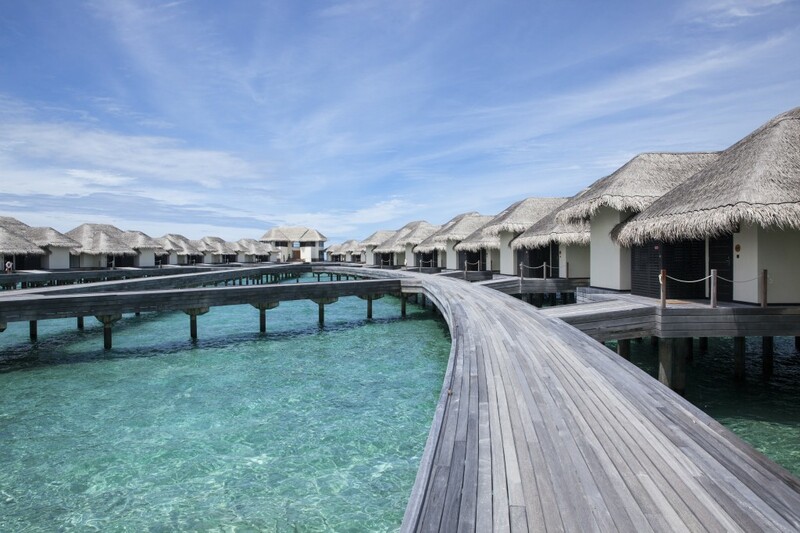 Navasana Spa is delighted to invite you to experience the ultimate experience for our spa treatments, at the newly opened Outrigger Konotta Maldives Resort. Enjoy a 30% saving on all a la carte treatments (excluding beauty service). 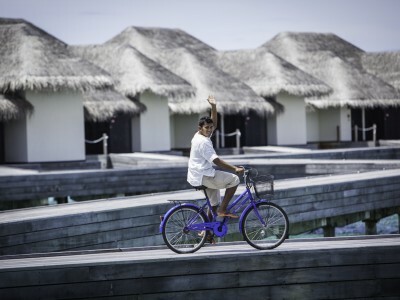 Outrigger Konotta Maldives is so much more than a beautiful resort. 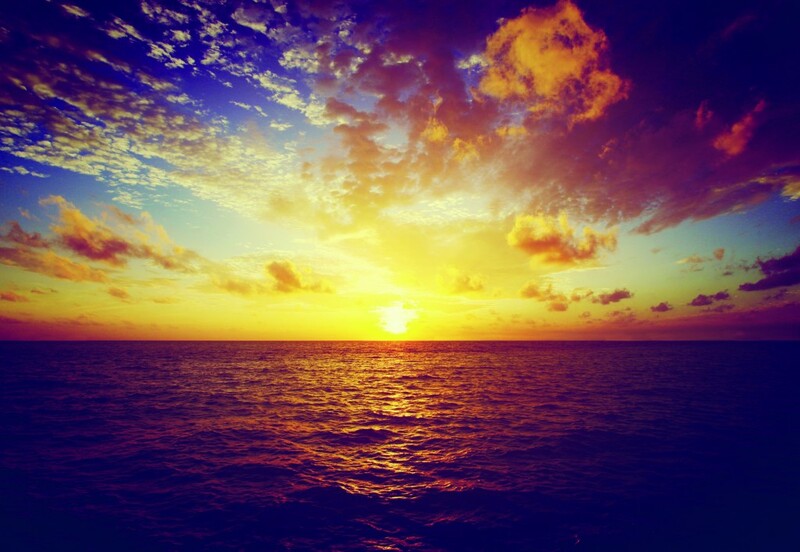 We bring guests amazing opportunities to experience the most vibrant getaways imaginable. In addition to luxurious staples like our 25 meter infinity pool, we offer a wide variety of activities to capture the attention of thrill seekers, curious travelers, and sport aficionados. One of the most isolated natural wonders on Earth, the Maldives are widely regarded among the best diving locations in the world. Our resort offers access to an unimaginable diversity of sea life: graceful manta rays, pristine coral reefs, tropical fish and even the gentle whale shark can be found here. We can organize professional dive training so that you can experience opportunities like night diving, and taking underwater photography courses. 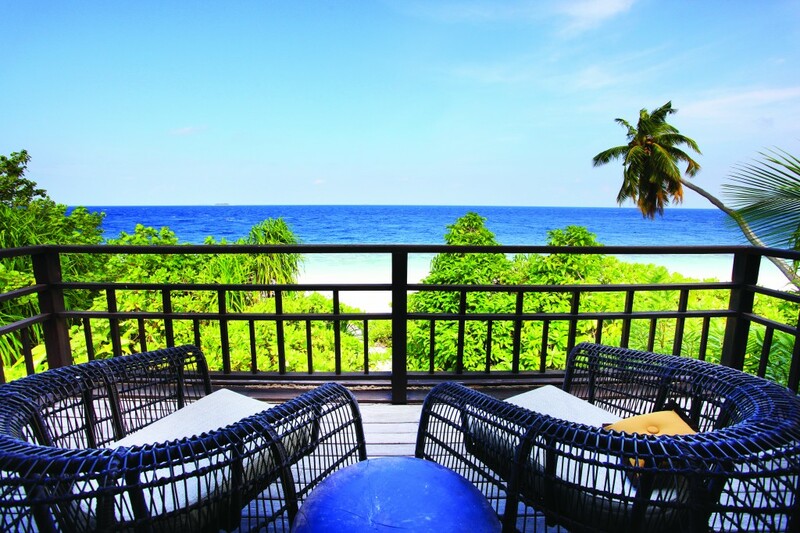 Outrigger Konotta Maldives is a must-visit for dive enthusiasts who are intrigued by all the natural wonders the Maldives archipelago has to offer. 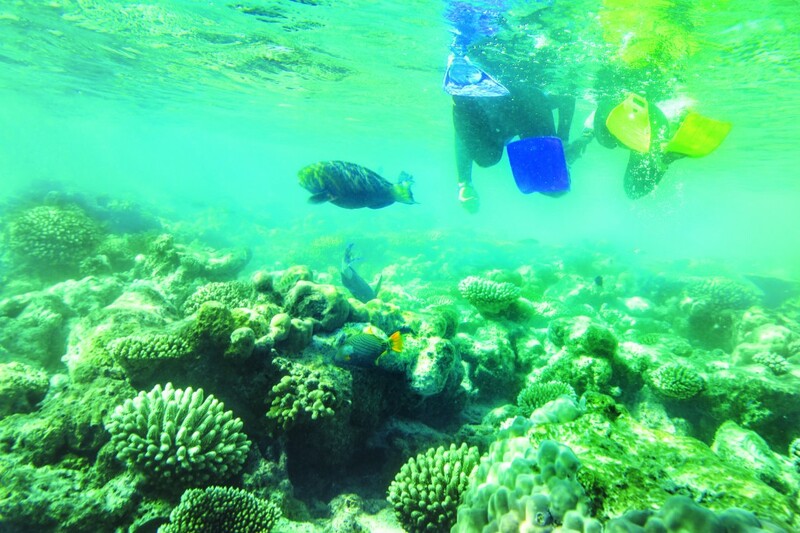 For those not ready to take the plunge, we have over a kilometer of coastline to discover by guided and free-form snorkeling activities. 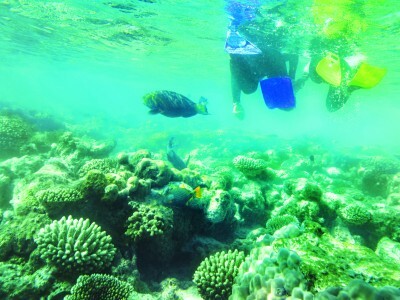 The Maldives are more sea than land, making the area a prime destination for fun water sports. The waters around our island are warm and inviting, and you’ll be impressed by the variety of water sports waiting for you. 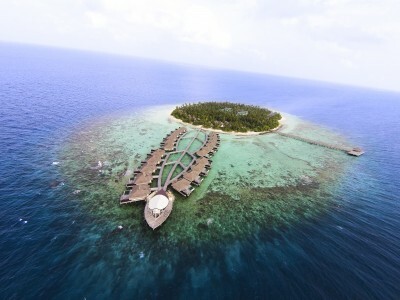 Our island is conveniently situated in prime island hopping territory. 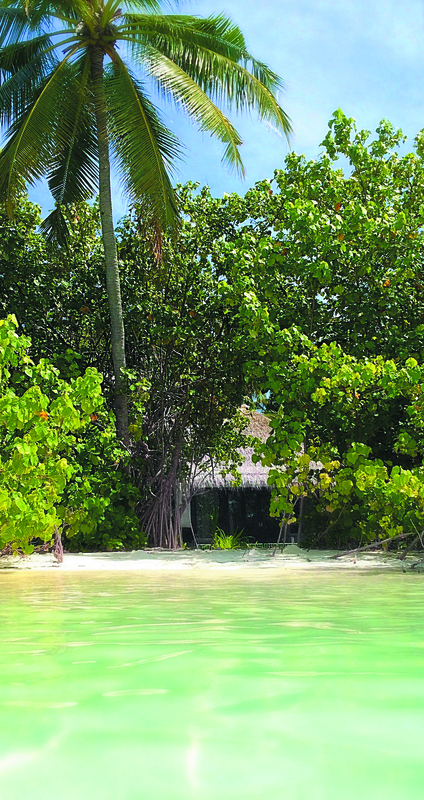 There are countless islands nearby to explore if you can tear yourself away from our intimate paradise. We have cruises and tours available from informative cultural jaunts to local villages, to romantic picnics on deserted islands. Take away valuable skills with activities like our Maldivian cooking classes or end the day with an awe-inspiring sunset dolphin-spotting cruise. Room is big and it’s more comfortable. 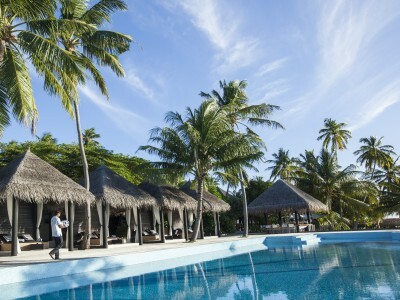 Good for Families and Honeymooners, more privacy, We stayed at beach pool villa. we love the villa. our villa have own pool and Jacuzzi on 2nd floor. Staff is very Friendly, Food is delicious. So many things can do in Outrigger Konotta.